Not counting that teaser that was shown during Logan screenings (because it was probably made just for that), we haven’t see much actual stuff from Deadpool 2. 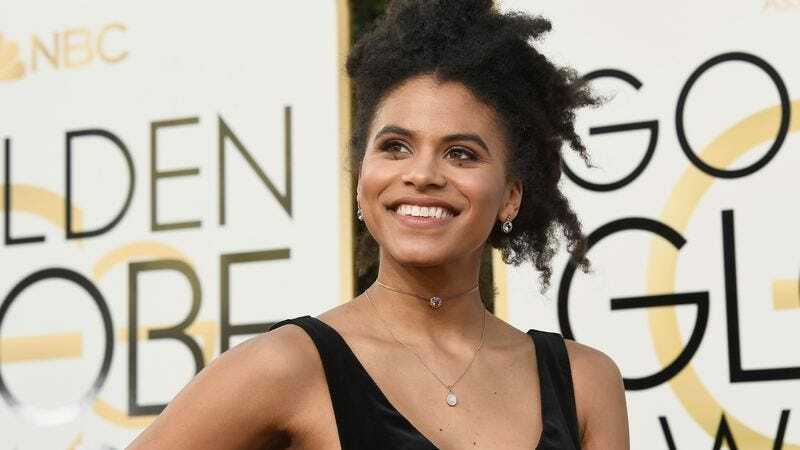 We don’t really know what Josh Brolin’s Cable will look like, we don’t know if the movie will be as funny as the stars claim it is, and we don’t know what Ryan Reynolds’ Deadpool is doing at the X-Mansion, but at least now we’ve got a fun photo of Atlanta star Zazie Beetz in costume as Domino. The photo comes from Reynolds’ Twitter account, and it’s clearly a fun nod to a classic photo of Reynolds in his Deadpool costume that you’ve probably seen 100 times—the fact that she’s literally laying on Reynolds’ Deadpool costume makes this even more obvious. Hopefully the first look at Cable will also have him lounging in front of a fire, and then this can just be a regular gag for all future Deadpool movies.